KAOHSIUNG, Taiwan — Taiwan will build its own submarines to get around Beijing's efforts to prevent it from purchasing such craft from overseas and ensure an adequate defense against Chinese threats, President Tsai Ing-wen said Tuesday. During a visit to the Navy's main base in Tsoying, also spelled Zuoying, Tsai oversaw the signing of a memorandum of understanding on the construction of submarines. "Under the strategic concept of effective and multilayered deterrence, subsurface combat ability is what Taiwan's defense is most in need of strengthening," Tsai said. "This is a problem that everyone is aware of but which in the past we were never able to resolve." Defense News' correspondent in the region, Mike Yeo, says Taiwan's submarine program is still in its infancy, as there is very little firm detail. Taiwan's Navy presently has just two combat-ready subs, versions of the Zwaardvis-class subs purchased from the Netherlands in the 1980s in a deal that led to a major diplomatic rift between Bejing and The Hague. Although George W. Bush's administration had pledged to help Taiwan procure more submarines, the U.S. no longer makes the diesel-electric craft that Taiwan needs and has apparently been unable to enlist foreign makers in providing their expertise. 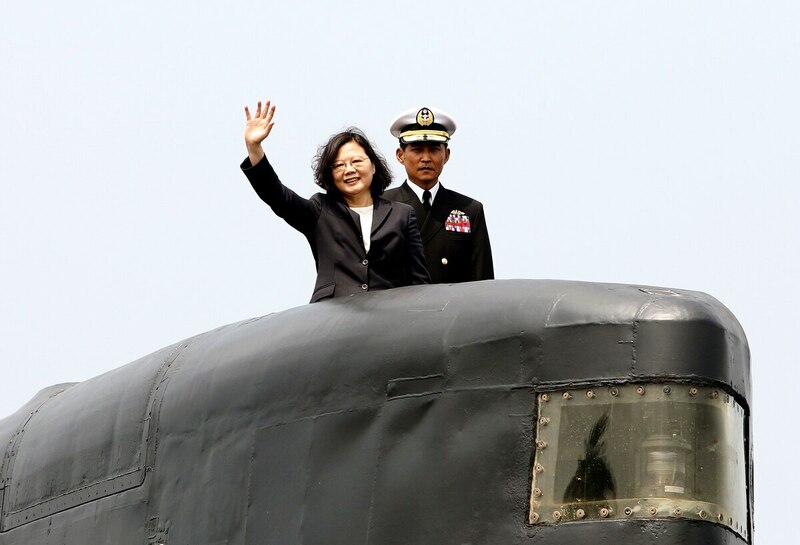 Earlier reports have said Taiwan was seeking eight new submarines, although Tsai gave no details other than to say that sub production would be the "most challenging" aspect of Taiwan's development of an upgraded indigenous defense industry. The craft will be built through a joint venture between the government's National Chung-Shan Institute of Science and Technology and the formerly state-owned ship maker CSBC Corp. The announcement comes weeks after Tsai announced a $2.1 billion investment in the production of Air Force jet trainers to be designed and manufactured on the island. China has successfully used its diplomatic and economic clout to prevent many overseas military purchases by Taiwan, which Beijing claims as its own territory. Most of Taiwan's military hardware is either produced domestically or bought from the United States, which is legally bound to ensure Taiwan can defend itself, despite having only unofficial ties with the island. Defense News' Mike Yeo in Melbourne, Australia, contributed to this report.